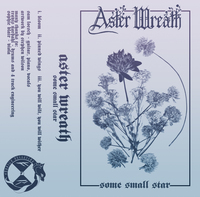 Blue-grey tinted transparent cassette with white ink and hand-numbered, double sided 3-panel sleeve in a crystal clear case. Comes with a download code. Limited to 100 copies. 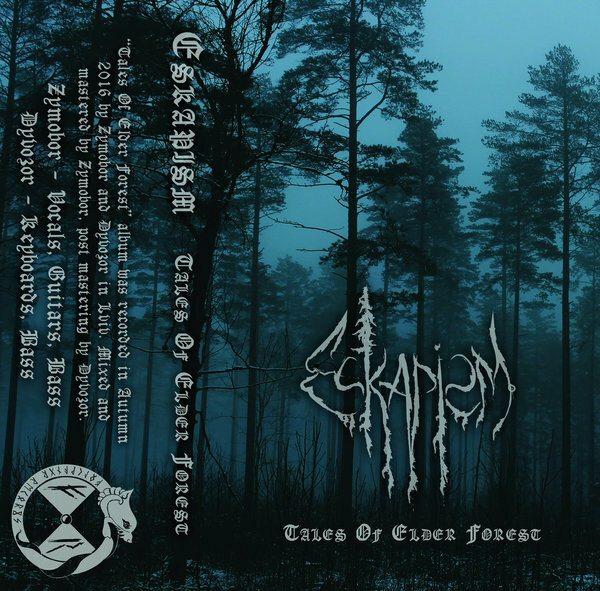 Tales Of Elder Forest is the debut full length album by Eskapism, containing nine tracks of masterfully crafted atmospheric black metal. 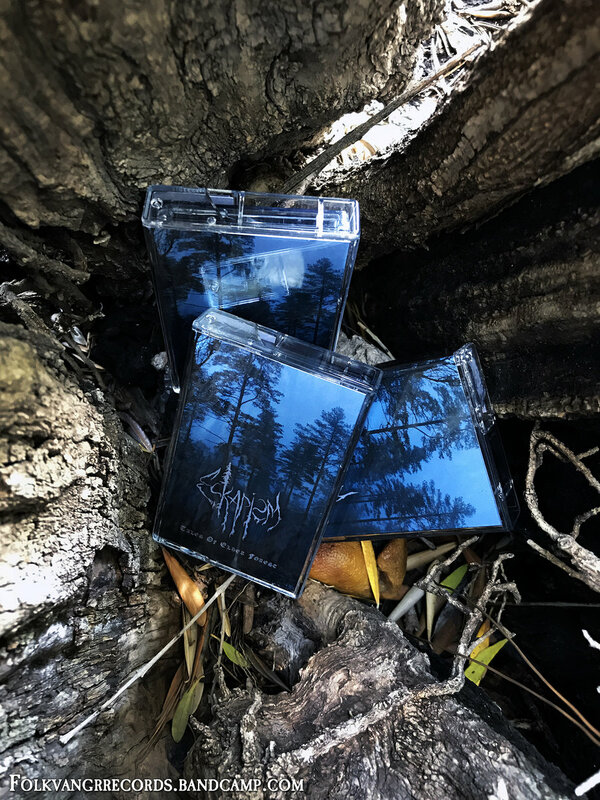 Eskapism is the brand new project from Zymobor and Dyvozor of Lviv, Ukraine. 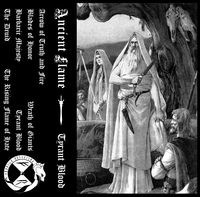 Both veterans of the black metal scene in Ukraine, they have come together to write songs about Mother Earth, nature and their country. 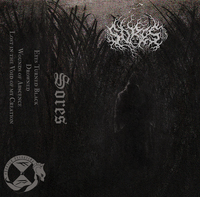 “Tales Of Elder Forest” album was recorded in Autumn 2016 by Zymobor and Dyvozor in Lviv. Mixed and mastered by Zymobor, post mastering by Dyvozor. All music and arrangements by Eskapism. 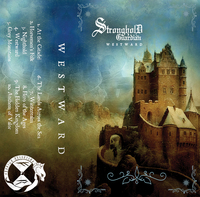 Bonus track “Tortured By Solitude” by ColdWorld. Lyrics by Zymobor (2, 4), Lesia Ukrainka (3), Ivan Franko (5), Rostyslav Kyzyk (6,7). Lyrics translation by Olena Shaleva. 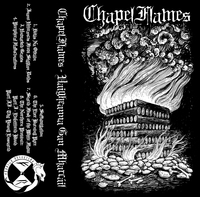 For a digital copy of the album please visit, eskapism.bandcamp.com.